PMC ammunition is made in South Korea (a key U.S. ally against North Korea) and much of the ammunition is made for defense against its Northern neighbor. One reason that PMC's quality is so good is that they must remain constantly vigilant against North Korea so they cannot afford to take a lackadaisical approach. This is great ammo 40SW. No FTF. I will buy this again . Thanks LG. Great qualityy for a great price. Shot all 150 rnds. Through my SigSauer Sp2022. Will definitely buy again. Ammo arrived quickly, a decent price compared to what it has been. I'm very happy with the product and company. Thanks Heidi. One of the few places that have the ammo in stock and at a great price. Thanks! I will highly recommend your site to others. It seemed like good practice ammo. I'm no professional. Fired, loaded smoothly, but the repeatable shot patterns may have been luck. Happy to find ammunition so that I can practice. Tired of going to stores and seeing empty shelves. Know I can count on you to have what I need for a decent price. Keep up the good work! This may sound like my review of Fiocchi ammo, but this too, is solid performing ammo. Have used it in 9mm, .40, and .223. Never had a problem. Reliable and accurate. No issues. Price and shipping reasonable. No problem with the ammo. I have used PMC ammo for my other weapons. Got this ammo in 3 days. Shoots as expected. Price wasn't to bad. Very Happy!! And I have been very happy. I use PMC ammo most of the time when I can find it. I ordered a few boxes to take my new H & K to the range, and it worked flawless. In 45cal in my Kimber Ultra they also work flawless. 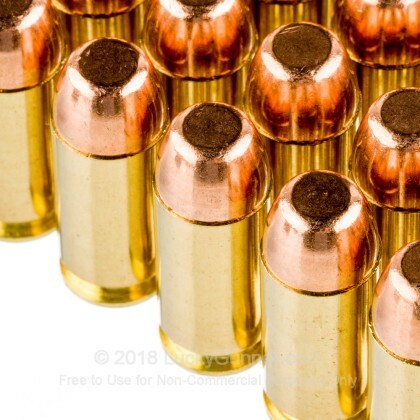 With ease of ordering and getting it delivered so quickly I stopped searching locally for ammo. I'll just order it here, and I'll have it in hand faster than I would trying to find it locally, and at much higher prices too. 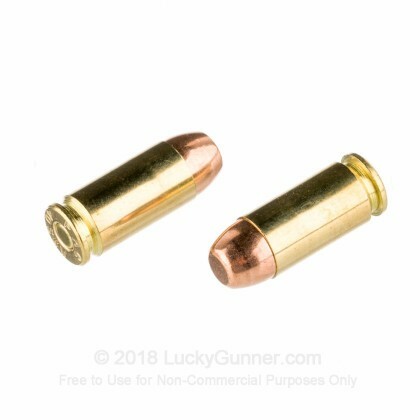 For target practice at the range, this ammo works well. I haven't experienced misfires and its relatively clean. The price is good and I will definitely purchase again. This is great ammo; it's reliable and clean. I did not experience any misfires or jams. Product available was a plus in this volatile market and the price was competitive. I came to Luckygunner b/c everything local was out of stock (surprise). I came away with ammo that worked as expected at a value comperable or better to anything else I had seen. Luckygunner is on my shopping list now. 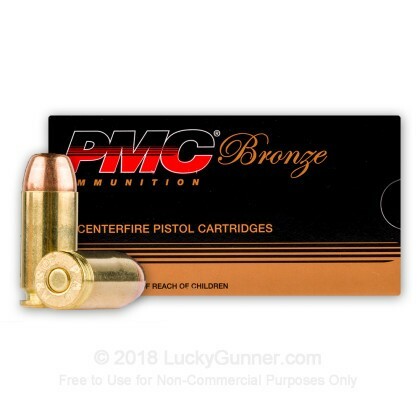 I find PMC consistent across calibers. A little dirty, but reliable in whatever I shoot. 380, 38, 40, 45, 308 and 223 all work well for me. While I would prefer WWB for price and quality, PMC is AVAILABLE. Feeds/ejects just fine in my Walther PPS. "Gun Control" is hitting what you aim at. 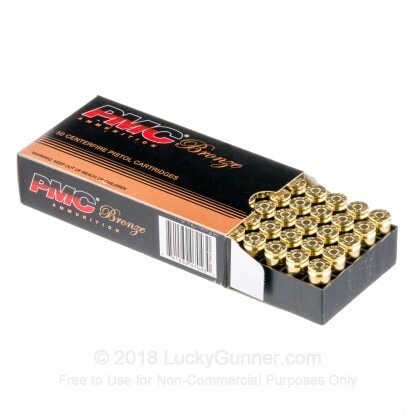 I just got back from the range with PMC ammo. I shot 70 rounds, shot well, no jams, no misfires. The only drawback is my hand is sore and I can't hear very well but that's not the ammo's fault. I did not expect perfection based on the price so I was very nicely surprised. I was shooting at a 30 yard target and 99% scored. I will buy more. 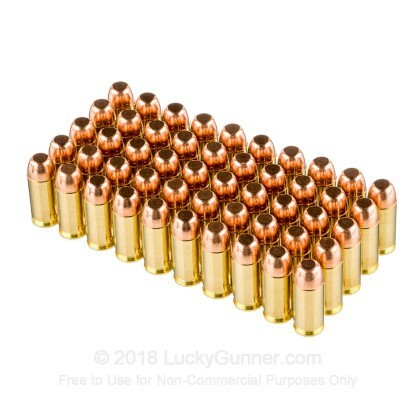 I bought a box of 50 of these at the range for my first rounds through a new gun. I had no jams or misfires at all. Most of my shots were on top of each other so precision seemed to be good as well. No comparison yet to other ammo but standing alone I have no complaints. Reliable ammo, clean, & accurate. All the ammo shot very well, No misfires or jams, and the price is good. Shot this ammo through Sig 226 and Glock 22. Zero issues. Clean shooting and accurate. Great ammo. Over 2200 rounds without any issues. I like these more than American Eagle. Reliable ammo, Clean, Accurate. All the ammo shot well, No misfires or jams. Not a bad price either. Good ammo for the price. Run clean as well. 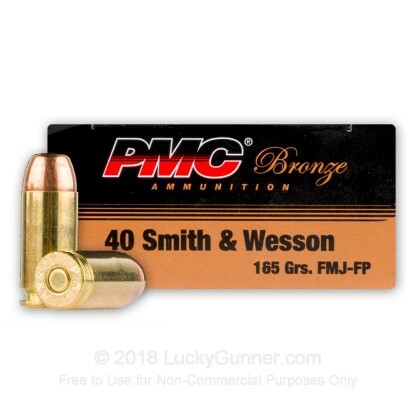 pmc 40 caliber ammo product as far as i am concerned is dependable. i would rate the 40 caliber ammo as very good. all the bullets i fired during the target practice work very well. We also have this 40 S&W - 165 Grain FMJ-FP - PMC - 1000 Rounds ammo in stock in a bigger quantity.